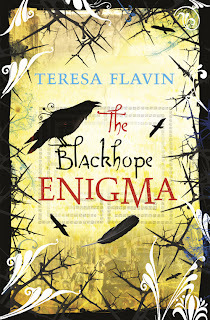 Today is the second stop in the Teresa Flavin UK Virtual Tour. If you missed the first stop, then please click here to visit Nayu's Reading Corner. 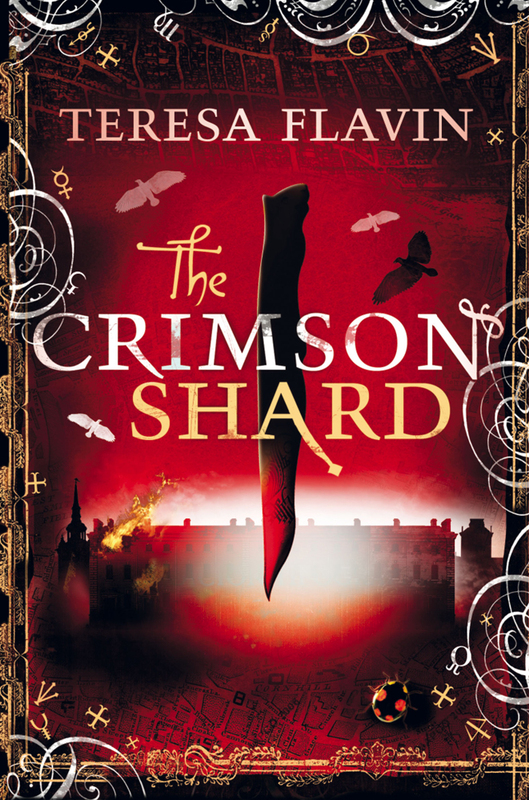 Teresa Flavin is celebrating the publication of her second book 'The Crimson Shard, which follows on from The Blackhope Enigma. 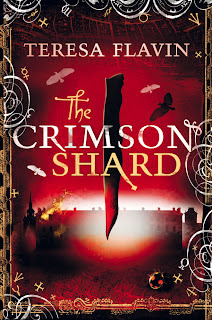 My review of The Crimson Shard follows later today. I love books that I can crawl into and inhabit. When I was a girl I ‘inhabited’ Nancy Drew mysteries, a series about a teenage sleuth who embodied everything I wanted to be: clever, courageous, bold, independent, mobile. Nancy wasn’t hung up on boys or gossip – there were mysteries to solve. She had a steady boyfriend but there was little about their relationship in the books, other than that he was a dependable guy who could be counted on to provide some brawn in dangerous situations. Nancy’s mysteries often had dark, and even gothic, locations and she sometimes had talismanic objects to investigate, like diaries, lockets and charms. At the outset of each story the mystery seemed huge and unfathomable but she always carved away the creepiness to reveal the truth behind the situation. I was also a passionate fairy tale reader and went through Andrew Lang’s twelve-book series of stories one by one. The visual qualities of fairy tales attracted me and still do. I couldn’t get enough of the other-worldliness, the importance of numbers (twelve dancing princesses, seven brothers, three sisters and so on) and the characters’ frequent shape-shifting. I had several books of German tales whose illustrations fascinated me because I could not read the stories. These books were a prime inspiration for my becoming an illustrator later in life. German tales were not the only foreign books I looked at as a child. Through my friendship with a Japanese girl, I was introduced to manga comic books. My friend was a talented artist and we spent hours copying dewy-eyed manga characters onto paper as well as chalking them on walls and big rocks at the beach. I had very little idea of what was going on in most of the stories, which Japanese people read right to left (back to front for us Westerners), but the comic strip format opened up the possibilities of telling a story cinematically in frames. As I headed into my teen years, I read horror and mystery comics but some of my most abiding favourites were from the Classics Illustrated series. I read and reread Wuthering Heights and The House of the Seven Gables, and from there it was only a short leap to reading historical novels that had no pictures. Jane Austen’s Pride and Prejudice is my top Desert Island book, joined by all the Sherlock Holmes stories, which are like comfort food for me. Today I am still drawn to books with historical and fantasy settings. My top reads, in no particular order, include Susanna Clarke’s Jonathan Strange and Mr Norrell, a story about two rival magicians in the early 19th century that has so many layers, I would include it as a Desert Island book just so I could unpick all its back-stories. I loved the relentless dramatic build-up in Elizabeth Kostova’s The Historian, an atmospheric take on the Dracula story. And Neal Stephenson’s 17th century historical science fiction trilogy, The Baroque Cycle, is a tour de force; it’s a swashbuckling adventure story and a fascinating exploration of the development of philosophy, mathematics and physics, featuring Isaac Newton, Gottfried Leibniz and other great thinkers of the time. Another literary gem is David Mitchell’s Cloud Atlas, constructed as a series of interlocking, ‘nested’ stories of a reincarnated soul moving through the past, present and future. China Miéville’s The City and the City begins as a straightforward detective story but soon expands into a mind-boggling exploration of time and space. This was the first Miéville novel I’ve read and I am reliably informed that his previous books, Perdido Street Station and Iron Council will blow my socks off. 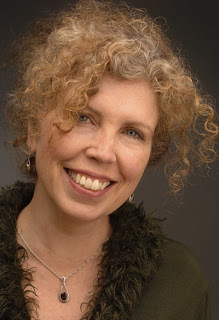 Before I began writing for children, I had hardly read any young fiction. The one series I did read, because it came so highly recommended by adult friends, was the His Dark Materials trilogy by Philip Pullman. These books pulled me completely into their world and would definitely abide with me on the desert island. I’ve since read quite a bit of young adult fiction and admire the work of too many authors to name! A number of books have inspired me, but I strive to create my own distinctly original worlds. It’s part of the challenge and the joy of writing. I had always believed that making illustrations would be my main work, but now that I mix this activity with writing, I have found a new and powerful way to tell my stories. Thank you Teresa for reminding me how much I used to love Nancy Drew. 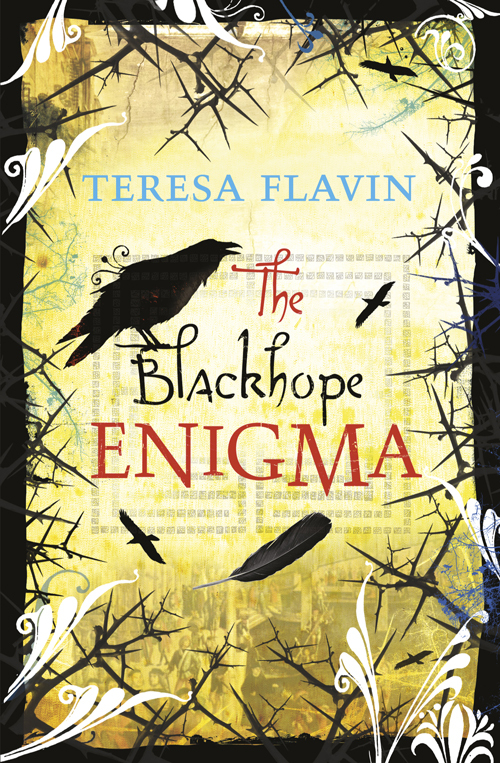 If you would like to know more Teresa Flavin, then you can visit her on her website here.